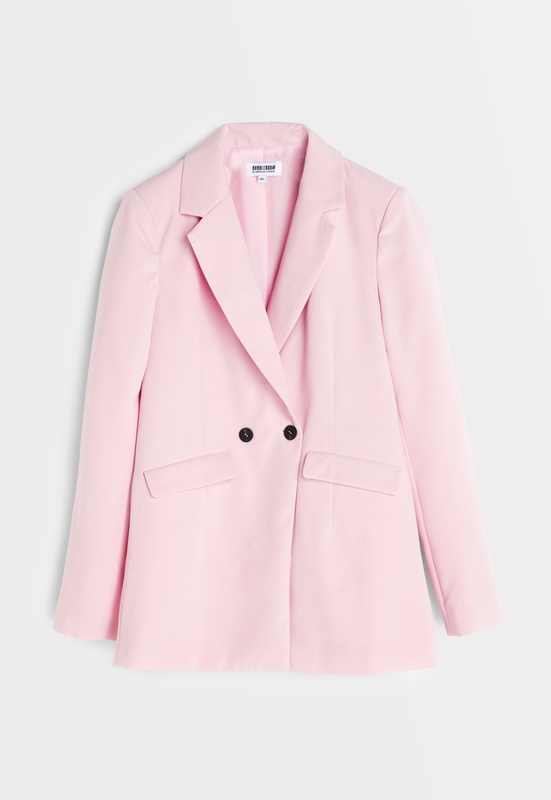 Trendy suit jacket in a oversize style from Bubbleroom by Carolina Gynning. Matches perfectly with the Carolina Gynning Slitted pants. - Made of light stretch fabric. - The suit jacket is lined and has shoulder pads. - Length of garment from shoulder: 74 cm in size 36. - Length of sleeve: 61 cm in size 36.